Jack tomato is typical from the Iberian Peninsula and it stands out for its high quantity of juice and its intensely sweet flavor. 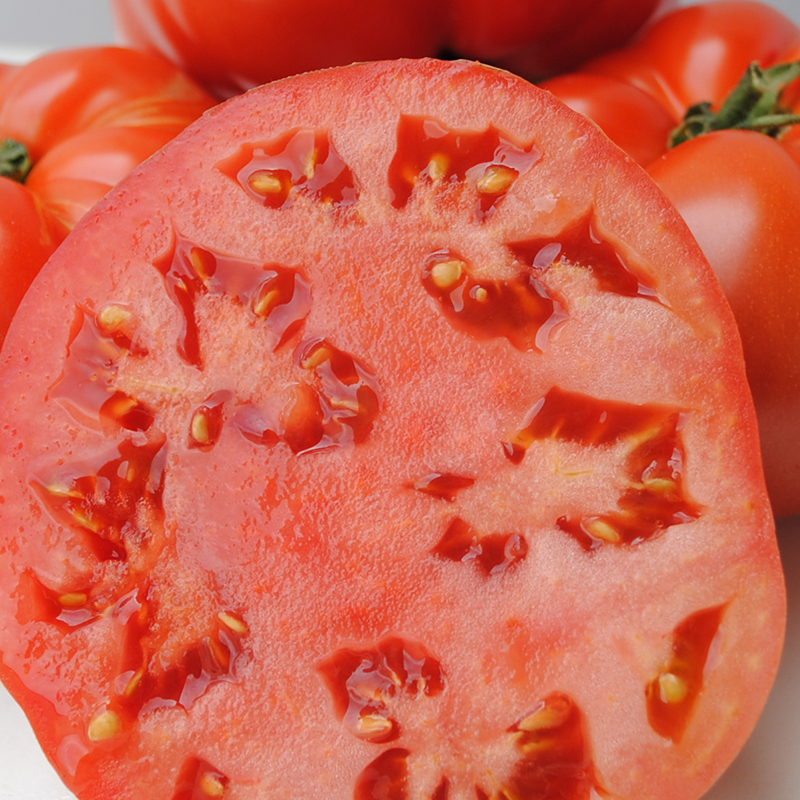 This tomato is a jewel for its fragility, its fine skin and the freshness contributed by its juice. Opening it and taking it into your mouth means to soak up the sea and the sun of the Peninsula. Our tomatoes drink the flavour and substance from the plant until the day of its shipment, until they are truely ripe and ready to be tasted. They do not go through any camera or receive any treatment or wax for conservation. 100% natural like all our fruits.